Current students, faculty, and staff of Mount Wachusett Community College (MWCC) may borrow materials from libraries outside of the LaChance Library consortia through interlibrary loan. Books, journal articles, and audiovisual materials that are not owned by LaChance Library or are not available to MWCC patrons in the library’s databases may be requested from other libraries. MWCC students who are attending classes online may utilize the interlibrary loan service for articles that can be transmitted electronically. Requests for books and library materials will be accepted, but students will be required to pick up physical library materials at the Gardner campus. Faculty and staff matriculating at another institution are encouraged to contact library staff at that institution for any needed resources. Patrons will be limited to no more than 5 loan requests per day. Most reference material cannot be requested through interlibrary loan. This includes material such as encyclopedias, dictionaries or other general information sources. Many libraries will not loan DVDs or other A/V materials. To comply with the interlibrary loan provision of the Copyright Act, the Library is limited to requesting copies of five articles published within the past five years from a particular journal title per calendar year. Articles received through interlibrary loan become the property of the patron and do not have to be returned. The loan period for an interlibrary loan item is determined by the owning library. Each interlibrary loan is wrapped in a “book band." Information regarding the loan, including the due date, is printed on the band. Interlibrary loan is a free service offered to current students, faculty, and staff of MWCC. The interlibrary loan office will attempt to borrow materials from libraries that do not charge a fee and from libraries that are within our delivery route that will incur no postage fees. Any charges that a loan incurs will be the responsibility of the requestor. The interlibrary loan staff will contact a patron before a loan that will generate a charge is requested. The patron is required to pay for the loan before it can be taken from the library. If a patron does not pick up a loan that has a charge attached, the patron will still be responsible for the cost. Items may be renewed at the discretion of the lending library. Patrons should contact the interlibrary loan office at least one day before the item is due when asking for a renewal. 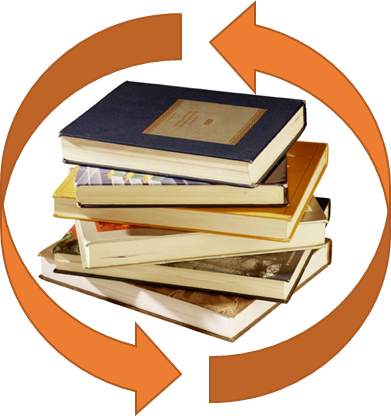 All interlibrary loans are subject to recall at any time by the lending library. Patrons are expected to return borrowed materials on or before the due date printed on the book band. If an item is one week overdue, the patron will be contacted and instructed to return the item. If the item is overdue for 4 weeks or more, the patron will be will be billed for the full replacement cost of the item. If the patron is a student, that student’s academic record will have a hold on it. That hold will remain until the loan/payment is resolved. Any further interlibrary loan activity will be suspended until the item is returned or the fine is paid. The charge for lost or unreturned items will be determined by the lending library. The patron borrowing the item will be responsible for any charges, including processing fees, for any items lost or not returned. An interlibrary loan request is fulfilled within 10 days to 2 weeks. Time may be extended due to uncontrollable circumstances. The LaChance Library is bound by any restrictions placed on loans by the lending library. These may include restricting use of material to within the Library, obtaining a signature of the borrower, and/or prohibiting photocopying. If a patron requests or uses a photocopy or reproduction for purposes in excess of “fair use,” that user may be liable for copyright infringement. This institution reserves the right to refuse acceptance of a copying order if, in its judgment, fulfillment of the order would involve violation of copyright law. (For comprehensive copyright information, please see the Copyright Basics link below. A request for an interlibrary loan may be made in a variety of ways. Complete bibliographic information is required. The required information includes: title, author, publication date, page numbers, patron name and contact information, and a “needed by” date for the material. Forms: A patron may complete a paper form available at the Research Help Desk at the Gardner campus. Email: A patron may send an online request, including all of the required information as identified above to ill@mwcc.mass.edu. The patron will be notified by email when the item is ready to be picked up. For books and other returnable materials, the due date will be stamped on the book band accompanying the material. Articles will be delivered electronically whenever possible. If received in print, the patron will be expected to pick the item up in the Library. Articles received in either electronic or print format become the property of the patron. At the end of the stated loan period, the patron will be responsible for returning the material to the library. All materials must be returned to the Circulation Desk at the Gardner campus.